The School of Night – inspired by the group which included Christopher Marlowe and Sir Walter Raleigh – is our Year Round Poetry Festival. Playing host to poets as varied as Paul Muldoon and Lorraine Mariner, and anchored in a regular fixture on the first Tuesday of every month, The School of Night offers the chance to explore and discuss the work of some of the best poets on the contemporary scene. Jacob Polley, Jonathan Durie and Robert Crawford are our dynamic trio for May! 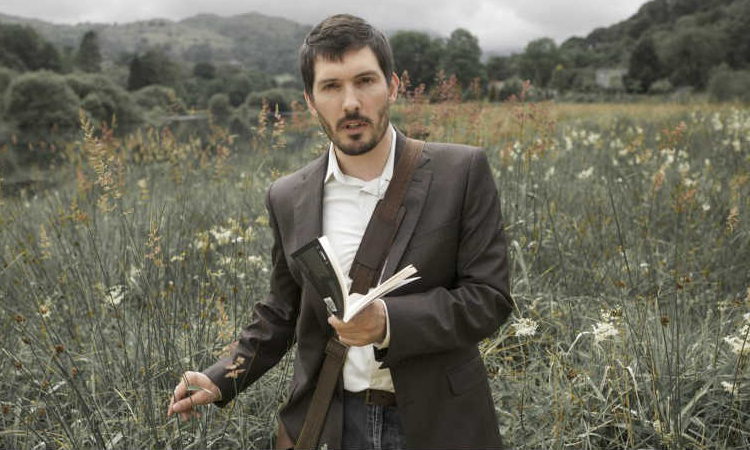 Born in Cumbria in the north of England, Jacob Polley has been lauded as one of the leading talents of the new generation of British poets. His first collection, The Brink, was a Poetry Book Society Choice, and went on to be shortlisted for the T.S. Eliot Prize, the Forward Prize and the John Llewellyn Rhys prize. Polley’s rural heritage is evident in his work, which dwells on the mysterious workings of the natural world and is preoccupied with boundaries, meeting points and convergences. Jonathan Durie is a St Andrews graduate, screenwriter and actor – and a budding talent on the Scottish Literary scene. Winner of the Scottish Book Trust’s 2014 Callan Gordon Award, Jon has been mentored by Jacob Polley over the last year, producing some highly engaging, often deeply humorous and insightful work. Robert Crawford is a familiar figure in St Andrews, formerly Head of the School of English at St Andrews University, he is a man of many talents, with six collections of poetry and over two dozen other books . His most recent works include the collection Testament and an acclaimed biography of T.S. Eliot: Young Eliot.